Trend Micro is a global leader in IT security. Founded in the USA in 1988, Trend Micro has grown to a workforce of over 5,000 and a revenue in excess of 1bn USD. Backed by over 25 years of experience, Trend Micro is widely recognised as the market leader in server security, cloud security and small business content security. Powered by Trend Micro Smart Protection Network global threat intelligence, Trend Micro provides superior Internet security for homes and businesses. Its products have received numerous awards including Best SaaS–Security at the Asia Cloud Awards in 2014 and a 2013 Computing Security Award. Trend Micro Singapore provides customers with the online and offline IT security they need. 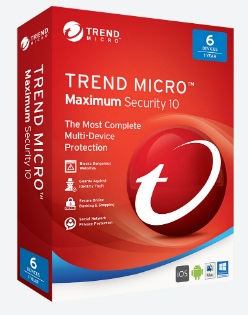 Constantly updating, Trend Micro anitivirus software and Trend Micro Mobile Security keeps desktop computers, laptops, tablets and smartphones safe from dangerous malware and viruses. Trend Micro security software keeps your devices protected. Trend Micro offers a number of products to meet every need. Trend Micro Mobile Security can protect Android and iOS devices against digital threats. 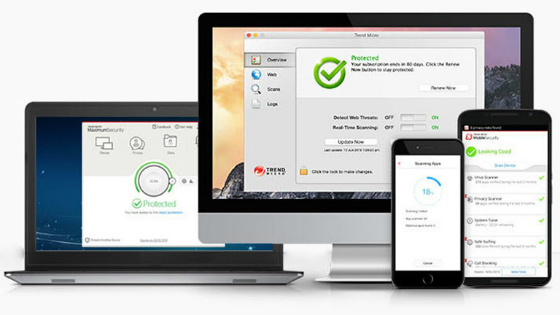 Trend Micro Maximum Security protects a wider range of devices including desktops and laptops to ensure your personal details remain safe and your computer free from viruses. Trend Micro Internet Security is available as a CD, Micro SD card and as a Trend Micro download.